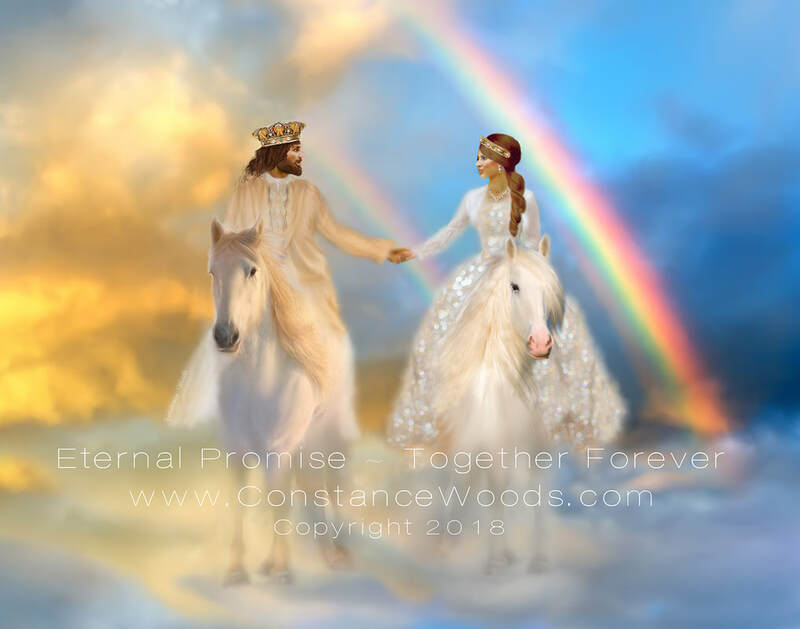 The beautiful Royal Bride is riding a white horse alongside of her Majestic King and Bridegroom in the glory of the heavens. The Eternal Promise is fulfilled, they are Together Forever. A double rainbow shines in the clouds. wrapped me with the robe of righteousness. in the very best: a bridegroom’s garland and a bride’s jewels. and green shoots break through the well-seeded garden soil. Price includes shipping within USA. ** Canvas are NOT framed. Please email or call to order a Gallery Wrapped Canvas.